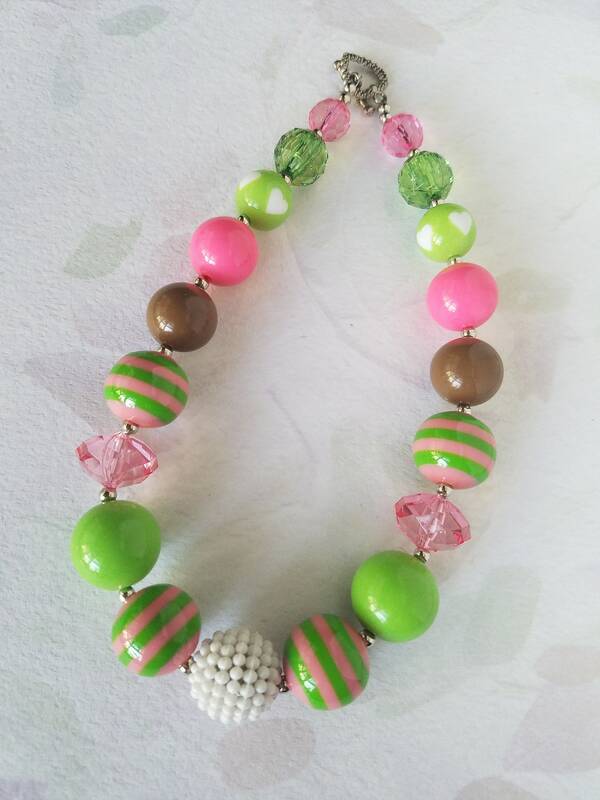 Chunky Necklace Brown, Green, Pink Chunky Bubblegum Bead Necklace, Child Necklace, Baby, Toddler necklace. 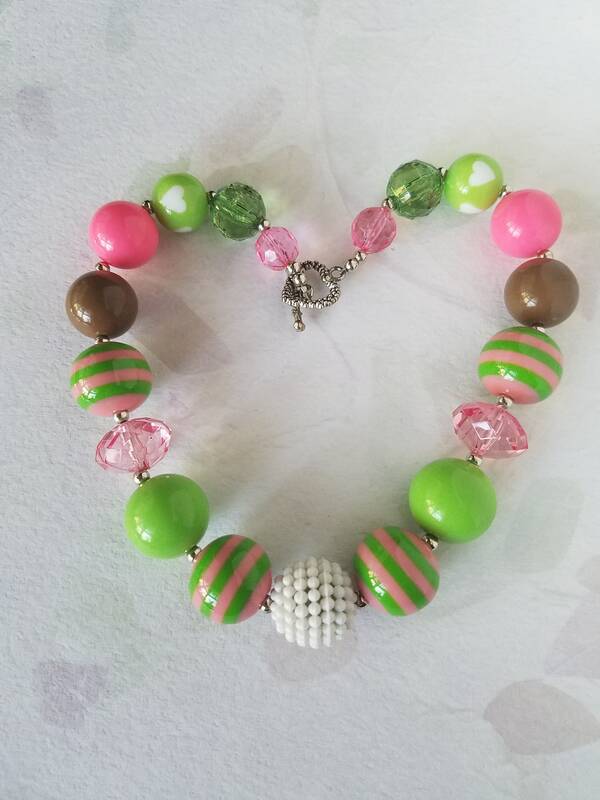 Bubblegum Bead, Chunky Necklace a perfect photo prop for Infant/Toddler/Little Girls of any age. 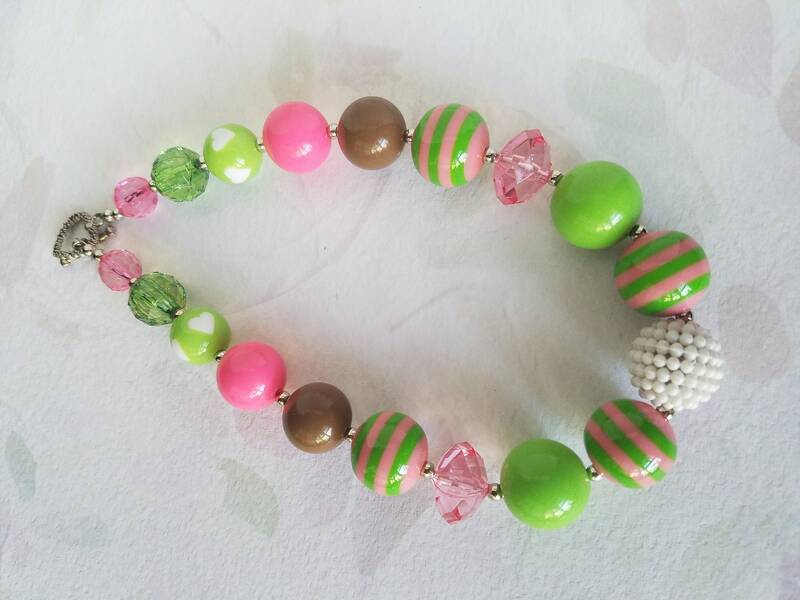 Chunky Bead (child size) Multicolored, resin, acrylic, strung with toggle. Necklace is approx 16 inches long. LAST PICTURE TO SHOW SIZE of beads. 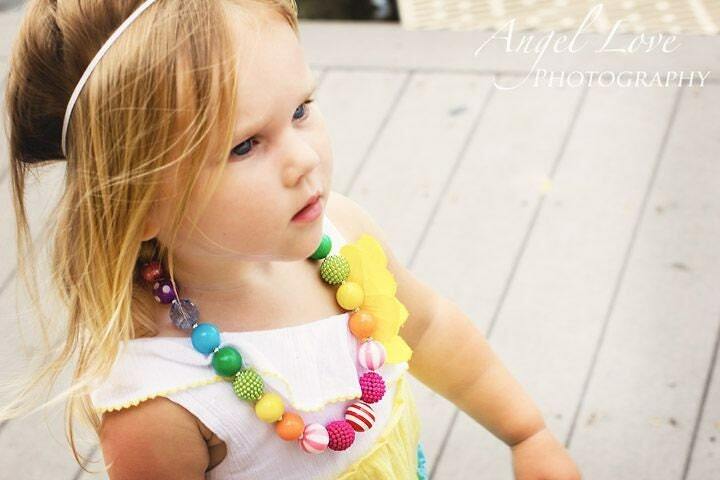 ~Small parts, please supervise children carefully while wearing and like with all jewelry handle with care.